Pumpkin Cheesecake | Gluten Free, Finally! 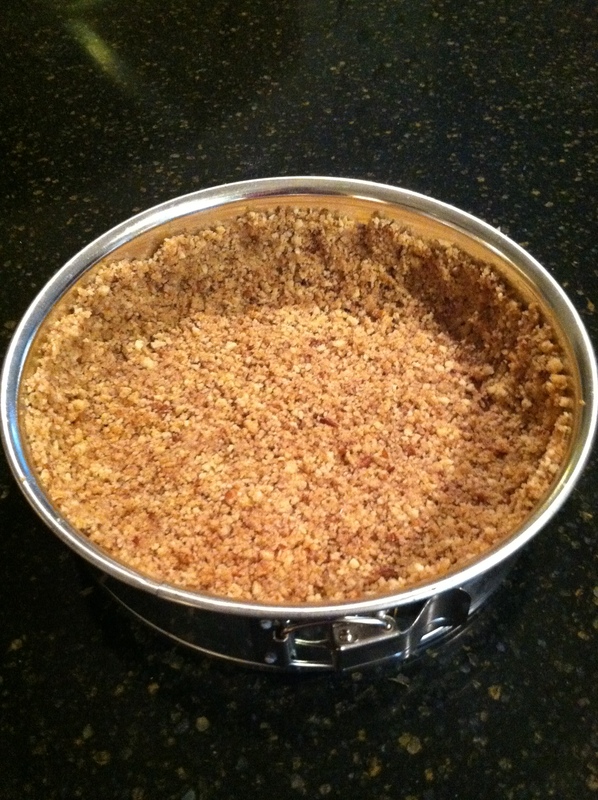 In a medium bowl, combine cookie crumbs, pecans and cinnamon. Mix in melted butter. Press mixture along the bottom and sides of a 9 inch springform pan. Set aside. Beat together cream cheese, pumpkin, eggs, sour cream, sugar, pumpkin pie spice, cornstarch, and vanilla extract until creamy and well-combined. Pour mixture into crust. Spread out evenly, then bake in preheated 350 degree oven for 1 hour, or until center is set. Remove from oven and let cool for 15 minutes or more. Then cover and refrigerate for 4 hours. Serve chilled slices with whipped cream.